The first in Double L's Red Rooster MKII Flooring product line, the Classic Red Rooster Flooring is easy to install and maintain. 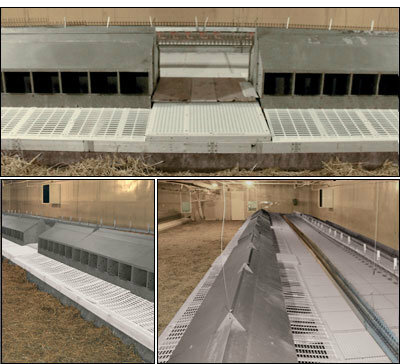 The Classic Flooring's plastic construction is corrosion-resistant with each piece butting up to the next piece and is screwed to the support system using #12 or #14 x 1/2" galvanized or stainless steel screws. 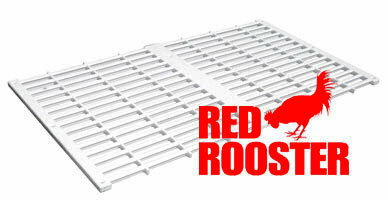 With 45% open area, Red Rooster Classic Flooring permits excellent manure filtration with minimum build-up. It is recommended that Double L's Red Rooster Classic Flooring support frames be constructed of 2" x 6" number 2 or better treated lumber.